Fancy adding remote control features and monitoring to your car? Then you want the new Delphi Connected Car. It's a simple plug-in device that enables a wide range of remote features including GPS tracking and remote unlocking via a smartphone app. Car tech will be one of the big themes at CES 2013 and Delphi's getting in on the action with the announcement of this clever little gadget. The basics involve a wireless device that plugs into the OBD2 port, which you'll find on any car manufactured after 1996. In that sense, it's a little like the xTool iOBD2. 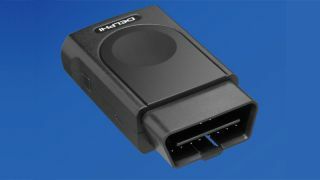 But Delphi's Connected Car device takes things further with both Bluetooth and cellular connectivity. The final piece of the puzzle is a GPS chipset. Put them all together and you have a device that can both access OBD2 functions and track a car remotely. So what exactly does this allow you to do? Your mileage will vary depending on make and model and, indeed, age of your car. The newer the car, the more automated features you'll have access to. At the very least, picking up diagnostics and engine faults remotely is on the menu. The GPS function also means you'll be able to track your car's speed and location. Worried parents, for instance, can set the device to alert them if a car being driven over a certain speed or goes beyond predetermined geographic boundaries. With more recent vehicles a whole range of options open out. Pretty much any function of the latest smart keyfobs can be emulated, such as locking and unlocking or even starting the car. For now it's only been announced for the US on the Verizon network in CDMA network format. But if it's a sales success, no doubt it will pop up in more formats and hopefully more countries too.